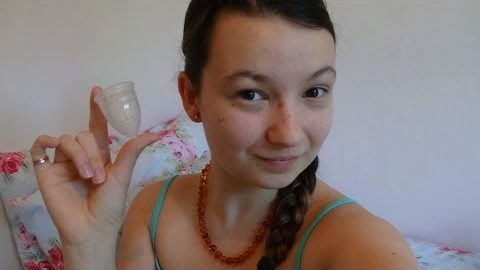 Yuuki ® Menstrual Cup Review - Can You Rely On it? 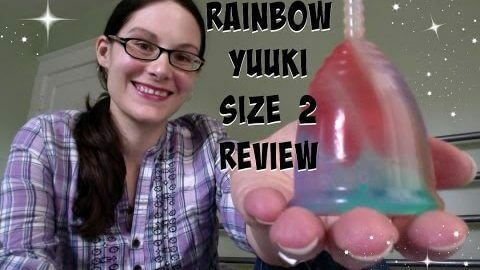 Home » Menstrual Cups » Yuuki ® Review – Can You Rely On it? Yuuki ® Review – Can You Rely On it? Note: We're just reviewers of the Yuuki, we don't sell it. However, you can get the best deals by shopping on the list above. Out of the myriad of menstrual cups produced and sold all over the planet, there are very few that have really made their mark on this society. 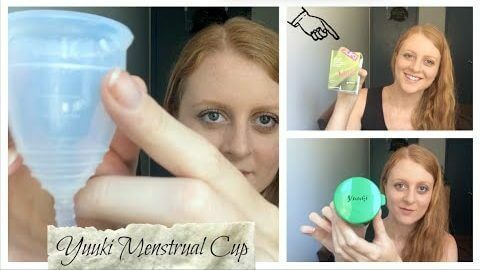 The Yuuki cup, menstrual cup is one of those brands of menstrual cups that has helped make the menstrual cup a remarkable alternative in feminine menstrual care protection. 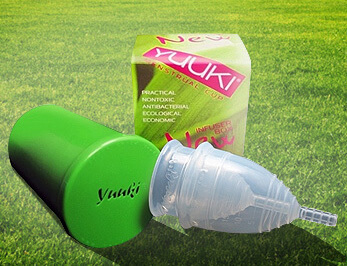 The Yuuki cup has garnered much attention on the market for providing a viable alternative to the use of sanitary nappies and tampons. 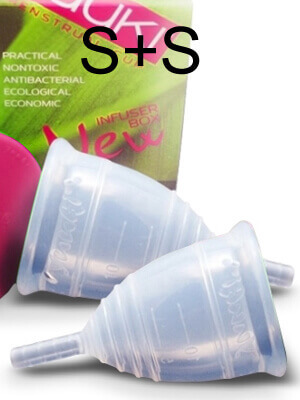 It has been produced for years and has already established a large fan-base of customers who feel that there is no better solution for menstrual protection than the highly-acclaimed Yuuki Cup, menstrual cup. 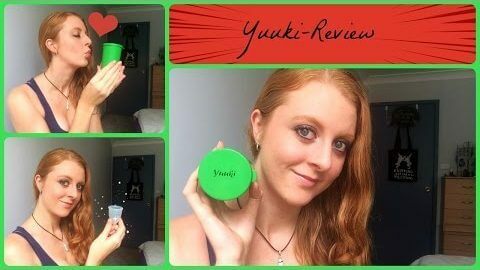 The Yuuki Cup is offered in 3 ranges of products, 2 sizes, and in value kits that contain 1 or more of the Yuuki Menstrual cups in various sizes with sterilization cups, and the special Yuuki menstrual cup cleanser/wash. The Yuuki Cup has 3 product ranges for the better ease of you being able to make the perfect choice in a Yuuki product specifically designed for you. 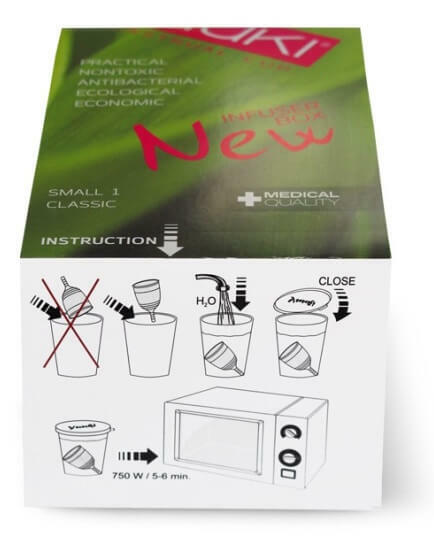 however it DOES NOT come with an infuser cup (sterilization container) or instructions (you can download instructions and seek help on the use and care of your Yuuki Cup through their website. The Economic is available in both sizes as well. The classic Yuuki is the firmer of the two (between Classic and Soft) and is the most popular sold of all the Yuuki menstrual cups. It comes with instructions, a Yuuki Cup (Size S or L) and with an infuser cup. From popular demand, the maker of the Yuuki cup designed a model of their classic Yuuki that had a softer finish of silicone. The Soft Yuuki is the softest of the product range, and is available in both sizes (S and L) and also comes with a full set of instructions and an infuser cup. 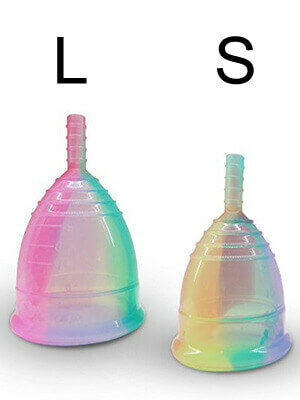 The small cup is for young women or teens that have a light to moderate menstrual flow and that have not had a child vaginally. 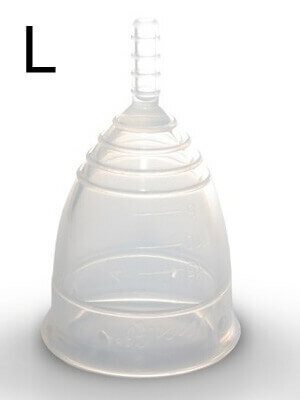 The large Yuuki cup is for adult women who have had a child or children vaginally or who are more mature sexually. 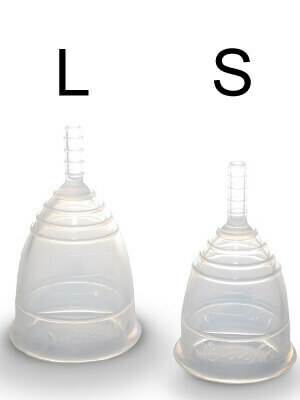 The Yuuki, menstrual cup is also available in various packages which combine and can include (2 different or 2 same size) Yuuki cups in Classic and Soft. Additionally the Yuuki company sells a special wash for the Yuuki cup known as Aquaint Disinfecting water and offers the infusion cup (sterilization cup) separately. 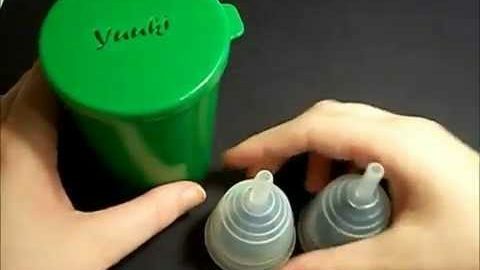 Cleaning the Yukki Cup is super easy and if you have ordered the Classic or Soft Yuuki then you most likely have the infuser box which helps you to clean your Yuuki in a snap (If you got the Economy Yuuki you can still purchase an infuser box separately through the vendors that sell the Yuuki menstrual cups). Fill the Infuser Box with warm water. Place your Yuuki Cup in the Infuser Box. Make sure you tighten the lid and close the Infuser Box tightly. 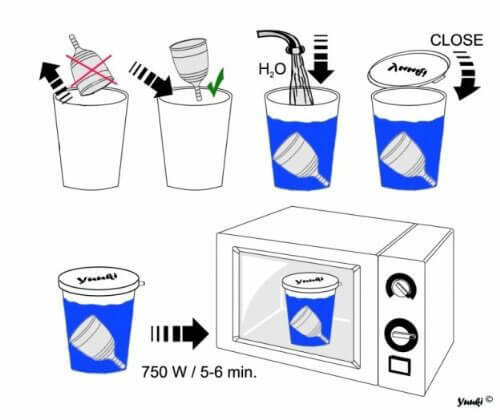 Then place the Infuser Box in the microwave for 5-6 minutes. Be sure to be careful when removing your Infuser box and Yuuki from the microwave it can be hot- or you may just want to let it sit for a few to cool down. Explicit detailing of Certifications of safety and use on the Yuuki website confirm that the Yuuki cup is entirely safe for its intended purpose of use. Available conveniently in 3 product ranges for the best experience in comfort and effectiveness. 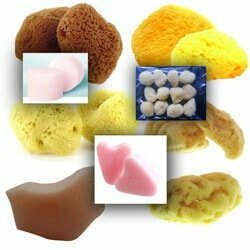 Manufactured by a very reputable company that is a main-stream leader in producing very reliable, high-grade, and superiorly safe products. Designed for comfort, easy use, and to last- so that a person gets the most out of their experience and a great life-time of effectiveness for a reasonable initial investment. The large Yuuki boasts a high-capacity of 42 ml of fluid which is ideal for being used for long-durations of time and for those who experience a very heavy flow. The infuser box that comes with the Classic and Soft Yuuki cup ranges can be interchangeably used as both a carry cup and a sterilizing cup. 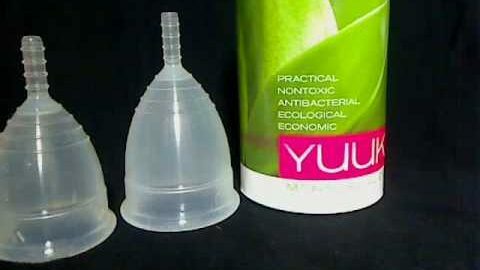 The Yuuki, menstrual cup dons a plethora of advantages for females who have tried and still use the Yuuki cup in preference over other menstrual cup types. 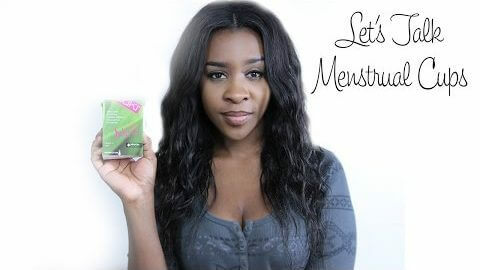 Here are a few pros and advantages that user testimonials and reviews accounted very clearly about their use and experience with this menstrual cup brand. The stem on the Yuuki is hollowed out and not solid. 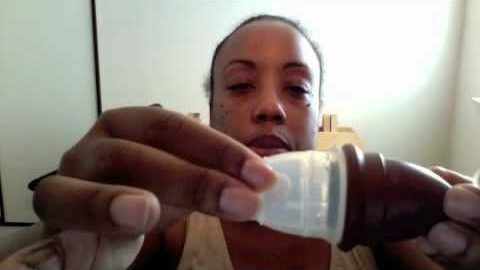 The stem on the Yuuki menstrual cup is not solid, instead it is hollowed out which really helps with comfort wearing the cup. Additionally, with the stem being hollow it makes it much simpler to grab and pull for swift and seamless removal. The form of the Yuuki is incredible for using it – Consumers state that in comparison to other cups like the Lunette, Divacup, Iris cup and femmecup that the form (silicone and firmness) is absolutely ideal for it opening properly to form the protective seal. 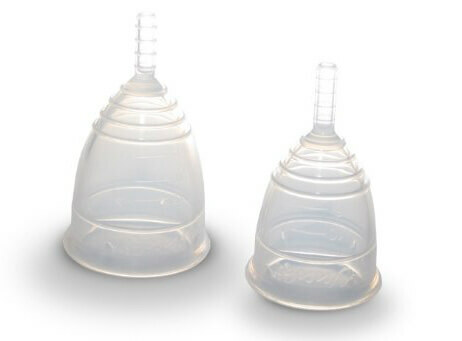 No discomfort or pressure on the bladder – Because of the ultra- soft Soft version in the Yuuki cup, people with sensitive bladders can comfortably wear the Yuuki without experiencing bladder irritation and pressure from the cups pressing on the vaginal walls. The small in the Soft Yuuki is perfect for young teens – Many young teens have reported wearing the soft small size in Yuuki without any discomfort or leak problems. 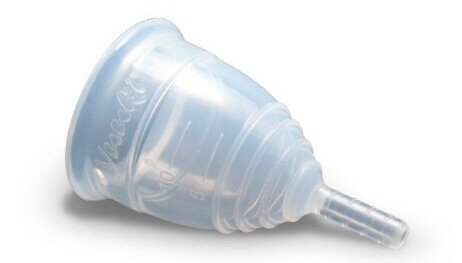 Most think this to be the perfect menstrual cup for girls who are still virgins and that also have just began menstruating. 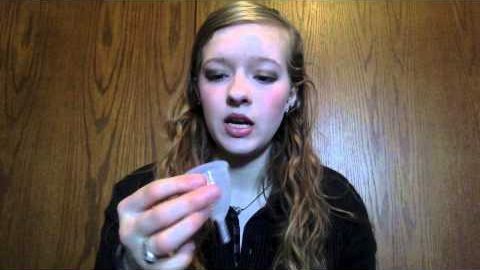 Painless wear and ideal for women with a high cervix – Many menstrual cups are not ideal for women that have been born with a high cervix. 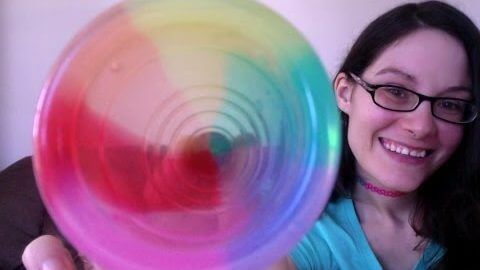 However those reviewers who have a high cervix say that the Yuuki is painless, easy to insert and remove, and that either size and product range can be easily used and result in a positive experience. Consumers Love the fact you can order the Yuuki kit in two different ranges and sizes – Consumers of the Yuuki, get the most out of their Yuuki because the Yuuki company offers their cups in duos of product ranges and sizes- so that a consumer can try two sizes. 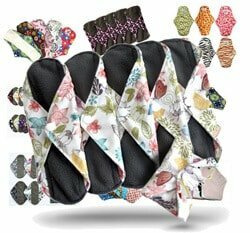 Customers seem to comment that both sizes work and can be interchanged according to flow, and time used for the perfect menstrual experience. *The Yuuki cup is available in duo packs so that a person can experience both sizes- this can help a person find the right size without making too many extra purchases. In addition, leaks are commonly reported with every menstrual cup brand which can be attributed to not inserting it properly (so the cup forms a seal) or that a person selected too small or too large of size. Lastly, for those who say the cup is too hard- now Yuuki has taken the comments in stride and designed a softer form of the classic Yuuki that is silky smooth, petite, and pliable. 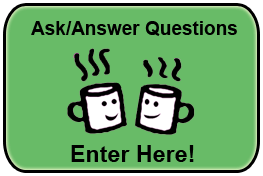 As with any product that you are searching and shopping for, there may be some questions that you need answered before committing to a purchase. 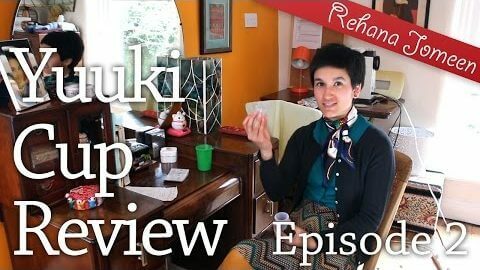 We have addressed some of the common questions associated with the Yuuki Cup that may help you to make a solid decision on whether it may just be the best menstrual cup option for you. Yes, most certainly. You may have to be extra cautious when inserting and removing the Yuuki cup if you have long nails or acrylics, however it is perfectly safe. You should also make sure to always wash your hands before and after inserting and removing the Yuuki cup to prevent bacteria from transferring. No. 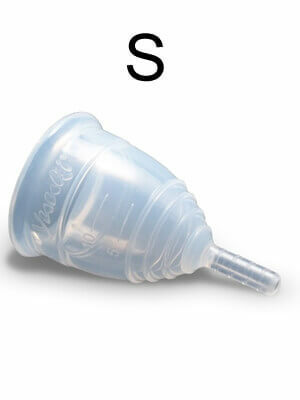 It is understood that in certain parts of the world, the menstrual cup can not be afforded for ever woman. 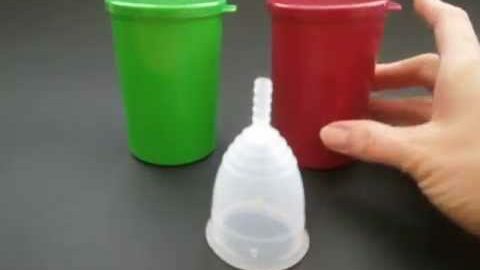 But the Yuuki maker suggests that it is very unsanitary to share another reusable menstrual cup with another woman, because it can contribute to the spread and transmission of some diseases. If there is no running water where you are at the point you have to empty your cup. Use a dry cloth, or wipe, or anything clean to wipe your cup out until you can sterilize or wash your cup with soap and water. 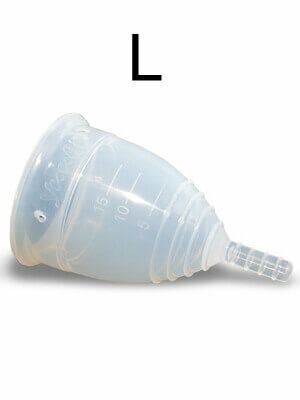 There is no danger or risk in wearing a menstrual cup if you have endometriosis. 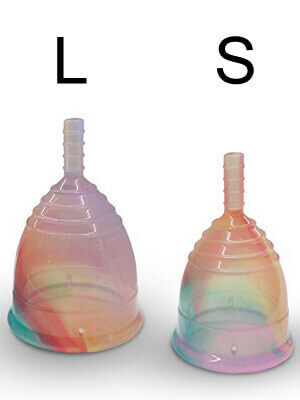 Many women report having less pain during menstruation while wearing the Yuuki cup. Yes, the Yuuki cup is completely safe to wear while taking a shower, or having a bath or even swimming. 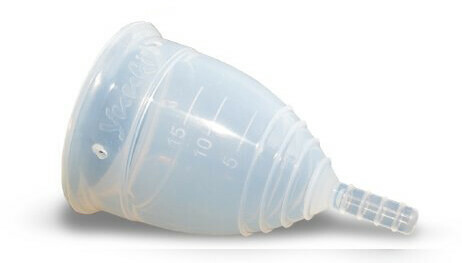 The Yuuki cup is made to cup at just before the cervix so that it opens and forms a seal that fixates the placement. It should not slide or move while wearing it. 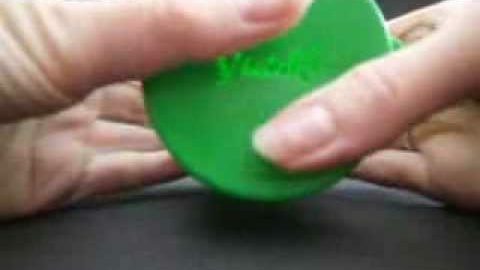 To better insert your Yuuki cup, you can practice a few times to see what works and what doesn’t and if you are finding that it is not lubricated enough you can opt for a safe lubricant to help slide it into place easier. No, the Yuuki cup should not be used for any post-natal bleeding as it can pose a risk for added infection and is not recommended by physicians. Absolutely, yes. 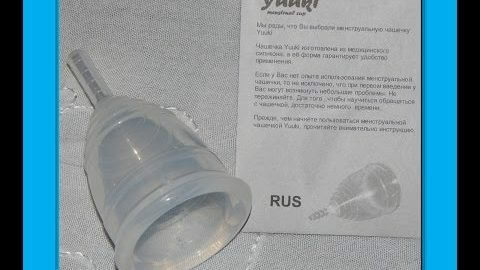 The Yuuki cup is packaged very discreetly so that no one will know what the product is when you receive it in the mail. There is an infusion cup included with most purchases of the Classic and Soft cup, you can use it to store your Yuuki cup in, or you can wash and place your Yuuki cup when not in use in a cloth bag. Make certain you keep your Yuuki in a cool, dry place to assure its longevity and effectiveness. The BETA obchodní společnost, s. r. o. company is best known as the Yuuki menstrual cup maker, and is a big contender as the leading menstrual cup brand throughout countries overseas. The Yuuki cup and other like products produced by BETA obchodní společnost, s. r. o. are well-documented for safety, quality, and effectiveness through intense monitoring, certifications, and production standards. The Yuuki Cup offers a variety of options that make it easy to find the perfect fit, size, protection, comfort level, and effectiveness from a purely-certified menstrual cup. 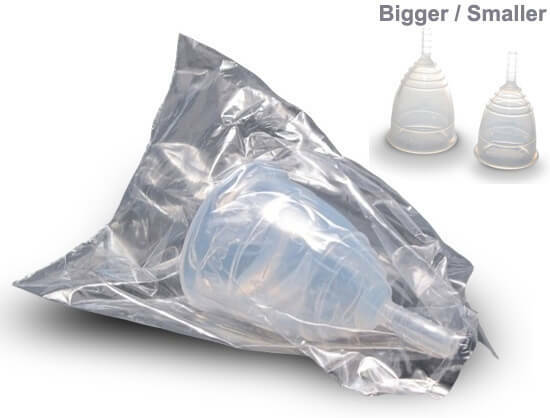 It is affordable priced to sell, openly available online and off, and notably remiss from other common menstrual cup adversities. The Yuuki has become trusted by women who have been using it for years, and also by new consumers who have discovered that the Yuuki Cup’s advantages are difficult to find in other brands and makes of menstrual cups. Vendors all over the world affiliate and sell the Yuuki menstrual cup. Although we do review all sorts of menstrual cup, we are not an official affiliate or retailer of any of these menstrual cups. 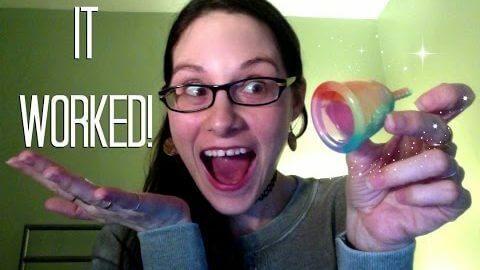 If you would like to purchase the Yuuki Menstrual cup and want to try it for yourself to discover what the Yuuki cup can do for you- then here are some trusted online sources (at the top of this page) where you will find the Yuuki cup. This cup is fantastic. It’s easy to get open, never leaks. Even the soft cup is too hard for me. It fits comfortably, but it’s so hard that it hurts to sit down. It is so hard, that I frrl pain every time when I use it.